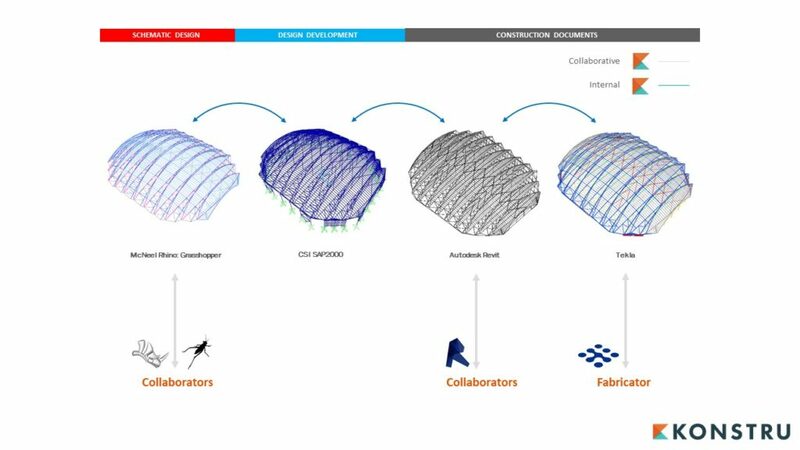 Konstru is a 3D BIM collaboration platform that facilitates the seamless integration of data between design and analysis applications. This smooth exchange of data eliminates the need for designers to maintain parallel models during the life of a project and permits models to be accurately synchronized without needing to be reworked, effectively precluding human error. Konstru enables users to spend more time focusing on design rather than repetitive modeling routines. Version control allows users to make design changes without having to archive multiple versions of the same files. Konstru maintains a project record, which is accessible at any time. Models can be compared and reports generated to track changes and evaluate progress.